Taipei is located in northern Taiwan, covering 271.8 square kilometers. Its population is approximated at 2.62 million people. As the capital of Republic of China (Taiwan), Taipei is a vibrant blend of traditional culture and cosmopolitan life. People are certain to have an unforgettable experience in this remarkable city. For further information, please go to the following website of Taipei City government: http://english.taipei.gov.tw/. There are more than 42 international airlines offering services from more than 58 major cities worldwide to Taipei. There are more than 230 flights per week from North American cities such as Chicago, Detroit, Los Angeles, New York City, San Francisco, Seattle, Vancouver, etc. to Taipei, many of which are non-stop. There are more than 70 flights per week from European cities such as Amsterdam, Frankfurt, London, Paris, Rome, Vienna, Zurich, etc. to Taipei, including many non-stop flights. Transportation from Asia Pacific cities such as Auckland, Bangkok, Brisbane, Hawaii, Hong Kong, Osaka, Seoul, Singapore, Sydney, Tokyo, etc. are even more convenient. Taiwan Taoyuan International Airport, located in Taoyuan County approximately 40 kilometers, or about 50 minutes by car or bus from downtown Taipei. At the moment, there are two terminals connected by shuttle buses. For more information, please visit the website of Taiwan Taoyuan International Airport: http://www.taoyuanairport.gov.tw/english/. Taoyuan International Airport is roughly 50 min drive from the conference venue: the Grand Hotel. Airport buses, hotel limousines and taxis offer convenient transportation to the conference venue or any other hotels. The Metropolitan Rapid Transit (MRT) system http://english.trtc.com.tw/ . bus system and taxis provide convenient transportation within the Taipei City. Taipei has a subtropical climate, with an average temperature of 29 deg C (84 deg F) in the day time and cooler at night in August. Delegates are recommended to bring a light jacket. For further information, please refer to the website of the Central Weather Bureau of Taiwan: http://www.cwb.gov.tw/eng/index.htm. The monetary unit is the New Taiwan dollar (NT$). The exchange rate in recent months has been approximately NT$32 for US$1 (Please notice that this is subject to changes). Foreign currency can be exchanged at most banks, hotels, department stores and international airports. For different currencies, please go visit the Currency web individually. Mandarin Chinese is the official language in Taiwan though other dialects are also spoken. Many people can speak some English, which is the most widely studied foreign language. The power supply for electricity is AC 110 Volts/ 60 Hz. 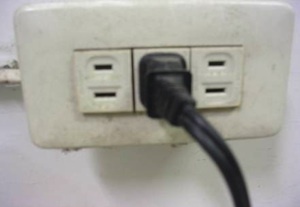 Power outlets only accept flat two-parallel pin plugs, type A. 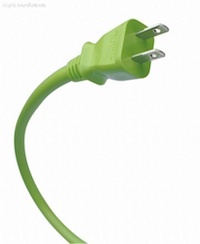 Please bring your own electrical outlet adapter to adjust the AC plug on your equipment. Participants from areas with different currents may bring a transformer to operate the electrical appliances. The Organizing Committee will endeavor to provide an enjoyable conference. However, neither the Organizing Committee nor the Organizer accepts any liability whatsoever for any injury, illness, damage or loss suffered by an attendee during his/her stay in Taiwan. Participants are advised to take out their own comprehensive travel insurance in their respective countries.